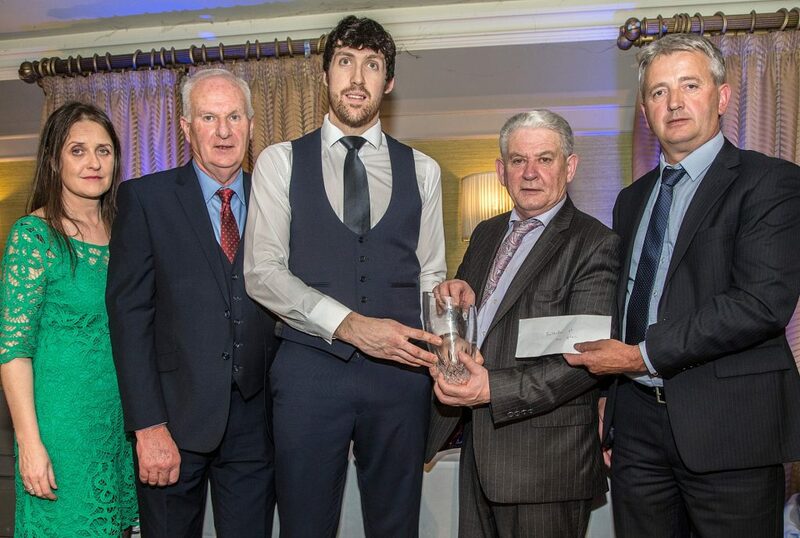 At The Local Bar Waterford GAA Awards 2018 were: Paddy Joe Ryan, Chairman Co. GAA Board present the Hurler of the Year Award to Ballygunner’s Pauric Mahony. Included are Ger O’Brien, Glanbia (Award Sponsors), Helena Gough, The Local Bar (Overall Sponsors) and John Galvin, Special Guest and Hall of Fame winner. Once again there was a huge attendance of almost 300 at the Annual County Board Local Bar sponsored GAA Awards function in Lawlors Hotel on Friday evening last. A very representative crowd from clubs throughout the county made for a great atmosphere with plenty of craic and banter expertly facilitated by the genial Gavin Whelan of WLR whose interviews with the various nominees and recipients were incisive and entertaining. It was no surprise that Ballygunner won the Club of the Year award yet again having won a fifth successive senior title before going on to conquer Munster. Nor was it a surprise that Pauric Mahony took the accolade of Adult Hurler of the Year on foot of his tremendous scoring contribution to his club’s success story. Indeed it was another busy weekend on the awards circuit for the Mahony family following on the previous weekend when both Philip and Pauric were nominees for the Granville Hotel/WLR awards and the following evening both would be on the list for the Park Hotel Supreme Sports star award. The Adult Footballer of the Year award went, unsurprisingly to Kilrossanty’s Tommy Prendergast who was again an entertaining interviewee with Gavin. Abbeyside’s Michael Kiely followed up his Granville Hotel/WLR monthly award with the Young Hurler of the Year award on foot of his outstanding performances for Waterford in the Munster Minor Championships and his contribution to Abbeysides success in capturing the County U-21 title. At The Local Bar Waterford GAA Awards 2018 were: Paddy Joe Ryan, Chairman Co. GAA Board presenting the Footballer of the Year Award to Kilrossanty’s Tommy Prendergast. Included are Ger O’Brien, Glanbia (Award Sponsors), Helena Gough, The Local Bar (Overall Sponsors) and John Galvin, Special Guest. Photos: Sean Byrne.